The American Silver Eagle is United States’ official silver bullion coin. The obverse feature Lady Liberty Walking. The reverse features the Heraldic Eagle. It was introduced in 1986 and been in production ever since. 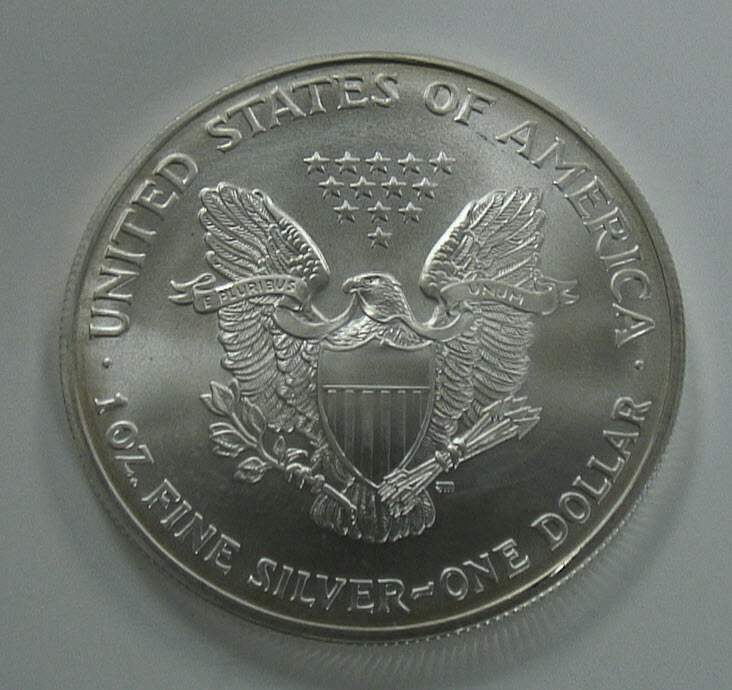 All American Silver Eagles are a product of the US Mint. These silver coins have been produced at the mint’s Philadelphia, San Francisco and West Point facilities. As of this writing, new Silver Eagles are produced in West Point, with additional production capacity in San Francisco. The coins obverse, Walking Liberty, was designed by Adolph A Weinman for the use in the Walking Liberty Half Dollar from 1916 to 1947. Coin’s reverse, the Heraldic Eagle, was designed by John Mercanti, and is similar to the obverse on the old Gold Eagle coins. 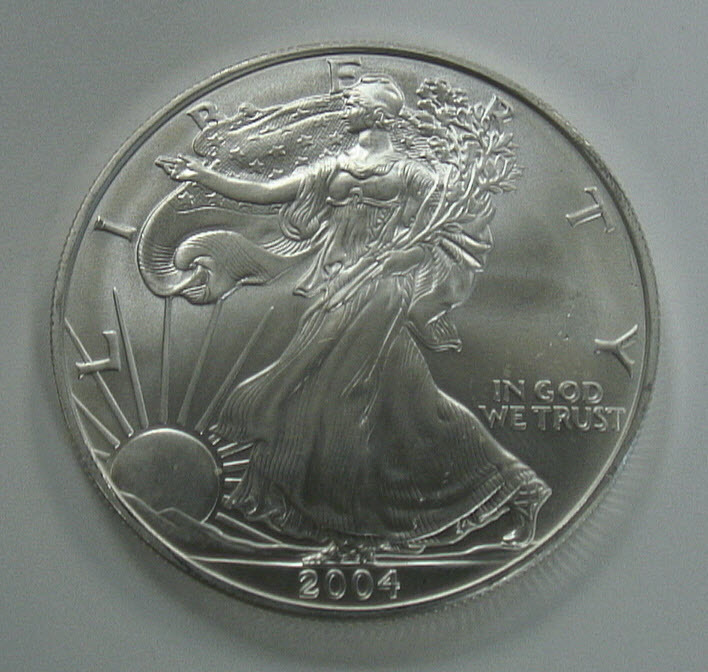 American Silver Eagle coins are .999 pure silver. Because they are a US Mint product, this silver coin nominal value of $1 and is officially legal tender withing the USA. 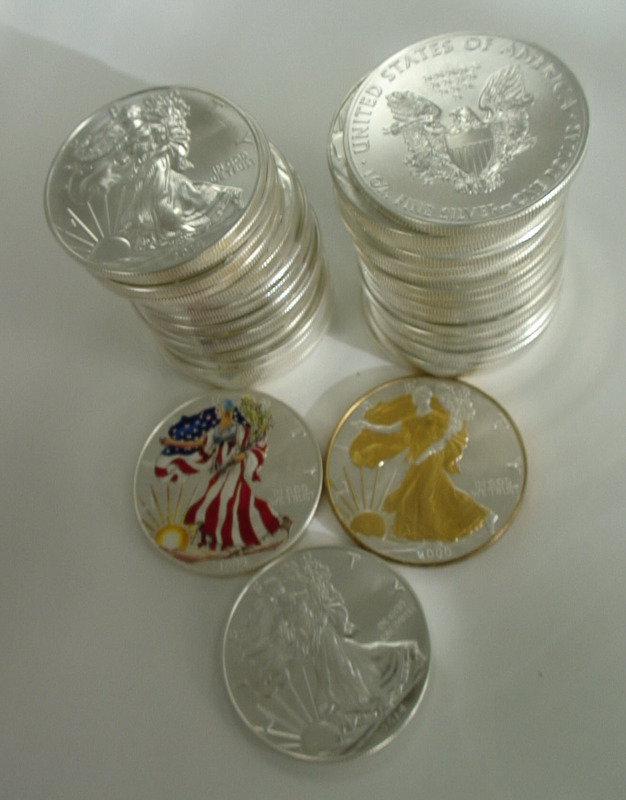 Silver Eagles are silver bullion coins. Although they have legal tender status, they are not really meant for that. To begin with, pure silver is too soft, and therefore easily defaced. Silver Dollars, on the other hand, are 90% silver, hard enough for years of circulation. 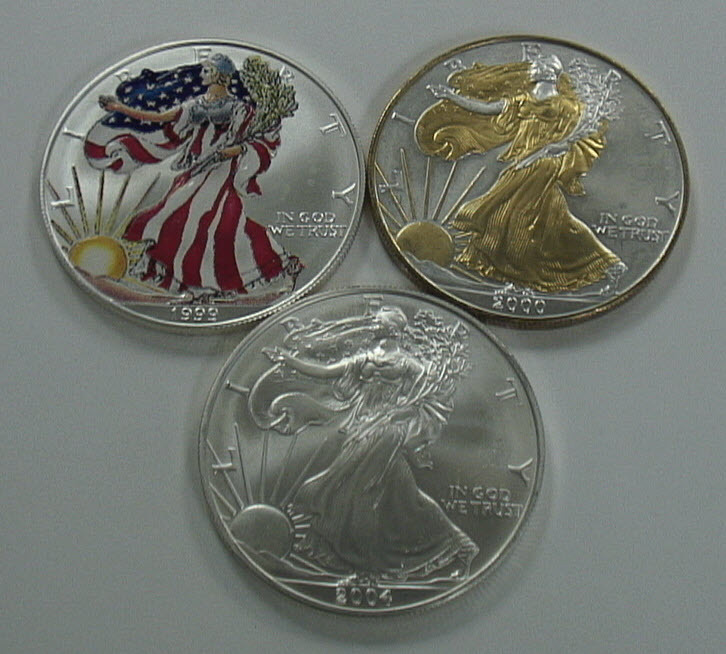 There is plenty of excellent bullion based on the American Eagle design, but it is not American Eagle. American Eagles are only produced by the US Mint.